How many times have I heard from the s 52neat next to me in the car, “Dad, please stop singing.” or ‘You are so off-tune!” or “You know you are singing off-key?” Well, no, I don’t. I suffered through years of music in elementary and middle schools. I recognize the notes on a page. I know what many of the basic music terms mean. But as I often tell people when they ask “Do you play an instrument?” I answer “Yes, the radio.” Making my mouth or a piano produce music is another thing entirely. Like many people, music moves me. 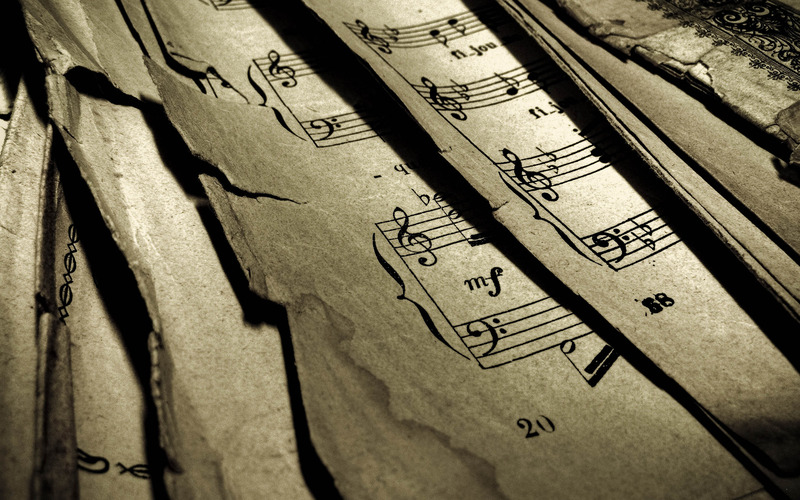 Certain songs bring me to tears – because of a memory they evoke… because of the power of the words… because of the beauty of the music itself. But I cannot, try as I might, make music of any sort. Except through something that plays the music another person has produced. It’s humbling. I can do many things well. Not this. And not, truthfully, as many things as I think that I can. When I hear someone sing beautifully in worship it not only moves me toward God but reminds me of my limitations. I cannot do it all. I cannot do much of it. I have gifts and passions and experiences that are praise-worthy and that some others may want but lack. But I cannot do all things or even most things well. Just listen to me sing! I need – we need – other people. As a human being, I need others to live a complete life. God has made the world and human personality this way. We need faith but we also need fellowship. We need our Creator but we also need his creatures. Now let me turn up the music so you can’t hear me sing… ! In seminary, one of my favorite professors said that she had become an Old Testament scholar because she loved puzzles. I love them, too. Nothing is more relaxing than the daily Jumble in the newspaper. Or trying my hand at a logic problem. There are things that are clear: Love your neighbor as you love yourself (Matthew 22:36-40) for instance. But wait. Who is my neighbor? What does it mean to love her or him? What does it mean to love that person as – in the same way – I love myself? Oh. So maybe there are questions buried in this life of faith, even in the things that seems simple or straightforward. And this doesn’t even touch on those passages of Scripture and doctrines of faith that do not make sense on the surface. Or whose application to our lives is less clear than their application to the people who first heard and believed. Life is full of puzzles – the solution to them is not. At the core of life’s puzzles is God. 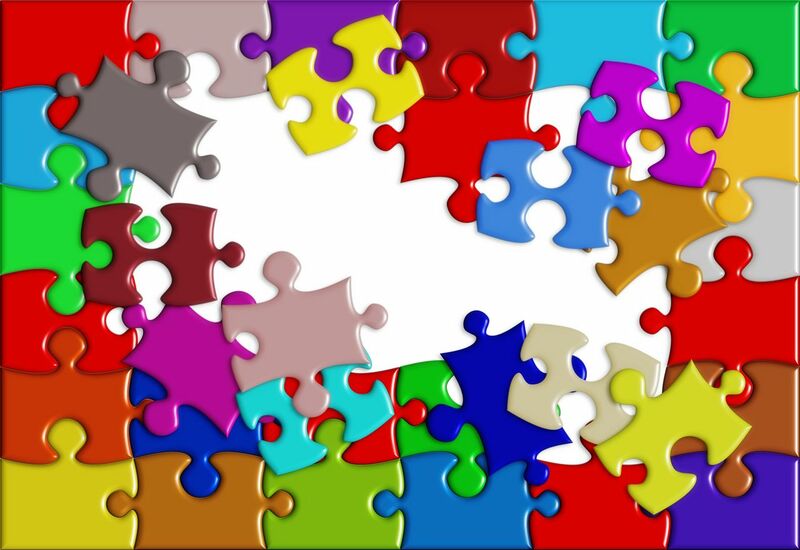 Puzzles – mysteries – dilemmas… they draw us into a process of reflection and thinking and prayer. They lead us to look not at ourselves but at questions that have captured our attention, trouble our hearts, and engage our minds. And these puzzles? They lead us, if we are willing, to God. Like all good puzzles, the solution is not the point but the process. I can look at the answer key in the next day’s newspaper. But that is far from the joy of figuring it out. I can say that the answer is God as if that is obvious and also resolved. Or I can make the journey from where I am to the place where I see and own that the answer lies in God. What a great journey and worth the struggle along the way. I wonder if today we are not as isolated as they. Except ours is self-selected. We have hundreds of cable channels – we can watch the news and other programs that already reinforce what we know and think to be true. The same can be said for newspapers and magazines. And the Internet? We can read what we want from whom want. Is it any wonder that our politics and our culture… and our churches.. are so polarized? I wonder, too, if it won’t take another Pentecost to overcome our self-imposed and chosen silos? For God to overcome the issues that separate us (at least in my United Methodist Church). For God to let us hear what we can understand, to hear people with whom we might not agree and from whom we would normally self-separate. I wonder this for the sake of our mission. How can we proclaim the Good News with authenticity and power when the world sees us as divided and divisive (at least within our tribes)? How can we proclaim a transforming faith, a resurrection power, when we can’t get along with other Christians of the same tribe let alone across the boundaries of tribe and tradition? Perhaps only by the power of the Holy Spirit falling afresh upon us – shaking us from our foundations and re-enabling our mission? Even so, come, Holy Spirit. This week’s post is a continuation of last week’s (Women Near and Far) on violence against women. One of the ongoing human battles is over status – who is above whom? Where am I (or where is my group, gender, race) in the order of things? How do I move up the ladder to a higher status with more power, prestige, and privilege? The question of women and violence is part of this larger question. It also touches on race and class and ethnicity. A friend has also suggested that one of the reasons that some of us struggle with same-gender relationships is that they can’t figure out who is in charge if both partners are the same gender (which presumes, of course, that men are over women). While I know this Scripture has often been used “to put women in their place,” I wonder if it is not a reflection on the sinful state of affairs more than a judgment on Eve? In other words, Eve desires her husband but rather than mutuality and love what will hold is a new relationship (and not the best one) of status and power? I am not an Old Testament scholar but it seems to me that none of the consequences of the story as we have it are God’s intentions – including an order of things that has always led to corruption and abuse and violence. And the story goes on… and on… and on. Cain and Abel fight over whom God loves more. Men with multiple wives find themselves in squabbles over which wife is more favored. Jacob and Esau end up in a blood feud over who has the birthright – in other words, who is the one who inherits not only the stuff but the name and the title! And that is only the first book of the story. Let’s just say it doesn’t get better from there. Jesus’ humbles himself to the point of surrendering his life. God’s purposes come to fruition not in Jesus exercising power or asserting his status or taking control. But in humility, in submission, and in love. In forsaking the perks and privileges and powers of his status. Too often we apply these ideas to our personal lives rather than seeing them as God’s ideal for broader human life and culture. It’s why we (we collectively and we men) can mouth the words but fail to see and prevent and speak against the violence against women (and children and people who are of other races and ethnicities too). It’s also wrong… and so clearly not God’s will as revealed in Jesus Christ. One more week on this and then on to other paths.